Pygmy-possums are a genus of small possums, hence the name, that simultaneously form the marsupial family Burramyidae. With five extant specie formations recognised in Australia, the heftiest overall is the Mountain Pygmy Possum. The Mountain Pygmy Possum (Burramys Parvus) is Australia’s solitary hibernating marsupial, which although is the largest, can effortlessly fit in the palm of your hand and merely weighs 45 grams. It is easily distinguished from other members of the family by its distinctive “buzz saw” premolar teeth. The initial discovery of a Mountain Pygmy-possum was in fossil configuration surrounding the Wombeyan Caves vicinity, approximately of the year, 1894. Mountain Pygmy-possum’s are dependent on winter snow and therefore subsist in restricted areas circa, 1370m above sea level. In alpine regions of Victoria and New South Wales the Pygmy-possum’s can be pinpointed. Existing (Mountain Pygmy Possum) habitats throughout Victoria: Mount Bogong in the Bogong High Plains, Mount Buller and Mount Higginbotham. Occurring (Mountain Pygmy Possum) habitats throughout New South Wales: distributed amongst the diminutive spaces of alpine habitat in nearby areas of the Kosciuszko National Park. Why are they threatened? How have humans contributed? Agriculture: livestock, farming and grazing- results in habitat loss and modification due to clearance of native vegetation and pasture enhancements. Human Intrusions and Disturbance: recreational activity results in disturbance due to human development. Invasion and Problematic Species: intrusive non-native species (human) results in competition for habitat. Waste: dumping of household and industrial garbage results in pollution both waste and solid. Fire: frequency, timing and intensity results in fires (arsonist) caused by humans. How can they be helped and what can we do? We can compose a recovery plan to ensure that Mountain Pygmy-possums persist within their range and uphold their potential to evolve in the wild. Captive breeding programs can maximize the possum's genetic diversity inside the population by precisely selecting mating pairs. Laws can be enforced relating to the insurance policies against natural disasters e.g. (arson fires). We could further examine an understanding of how Mountain Pygmy-possums will adapt to climate change by looking into their fossil record, possibly reintroducing a greater Pygmy-possum population. Pest management and supplementary food and water would renew enhanced living conditions. Conduct monitoring and protection through national park boundary extensions. Construct artificial corridors and tunnels linking fragmented populations. Introduce fox and cat regulator programs. Each year, the Dave's ACT organisation interviews members of the public. Regarding one situation, Dave queries a woman named Linda who has authored a PHD on Mountain Pygmy Possums and is a qualified expert too. Linda intends to save as many Pygmy-possums as possible, joining her, is an assistant who voyaged from China just to assist with the combat involved to defend the possums from endangerment. Her undertaken efforts to preserve the Mountain Pygmy Possum in conjunction with their life cycle, habitat, diet, and ecosystem have stemmed into a severe enhancement of the species subsistence conditions. The Mountain Pygmy-possum is currently listed as endangered under standards of the Commonwealth Environment Protection and Biodiversity Conservation Act 1999. The NSW Scientific Committee has recently determined that the Mountain Pygmy-possum congregates criteria for enumerating as endangered under the NSW Threatened Species Conservation Act 1995, grounded on information contained in this report and further information available for the species. Developing a captive management program for the species and supplementing wild populations through confined breeding. Maintaining an insurance population whilst in captivity. Assisting with population monitoring programs, recording statistics. Increasing community awareness of the plight towards the Mountain Pygmy-possum with additional support for its conservation. People can take action by conducting regular monitor and protection examinations throughout national park boundary extensions. To reduce the negative impacts on our native species (Mountain Pygmy Possum’s) undertakings of vigilance in relation to where ski resorts are constructed amid how in effect that development impairs and endangers the Pygmy-possum. 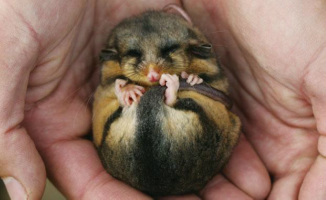 Similarly, we can ultimately aid the Pygmy-possum through supporting protection funds and organisations by donating various amounts, REMEMBER- it’s not how much you give, but how much love you put into giving. Groups have already taken action through the problematic threats that Mountain Pygmy Possums confront. To sustain the population of Pygmy-possum’s and discontinue the decline in species, groups are accomplishing innovative discoveries and overall investigations. Groups aid the Pygmy-possum through fundraising organisations that are located all over the world, creating awareness not restricted to only Australia. Through promotions, donations and adoptions Mountain Pygmy Possums are enabled to let them live in a happy and safe environment. 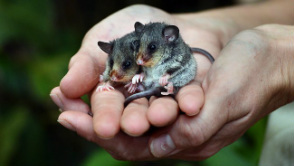 Governments obligate and contribute by donating money to organisations that support the Mountain Pygmy Possum. The Government encompasses a high multitude of power and capability to produce exceedingly recognised TV advertisements and publications to promote and raise awareness. They can commence preservation programs to protect the valuable species of the Mountain Pygmy Possum for future generations to acquire education from the specie formation.